Get that ultra-slick, wet-shine look with 24H maximum control. It's a new generation of styling gel with Taurine + Citrus Complex*. Strong hair. Strong hold. (*Taurine, Ceramide & Lemon Extract). Rated 5 out of 5 by CandS from Please Make more I am having trouble finding this product (clean and slick.) Please inform me that it in NOT discontinued. Rated 4 out of 5 by r9taddik from can be restyled with some water I use this then wear a helmet and restyle when I'm at work. No flakes, no residue. 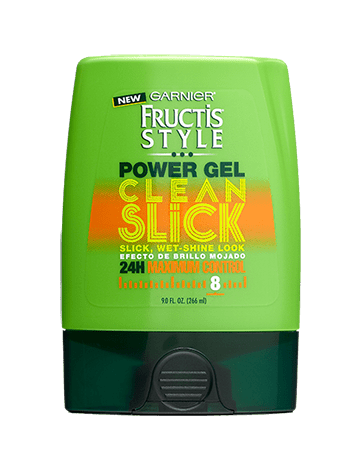 Being it's by fructis I feel like my hair is getting great treatment at the same time (like shampooing/conditioning/vitamins, etc). Requires about 5-10 minutes to harden. Now I'm scouring where to get more.